box and is designed to accept installation cables that enter the device, without the use of bulky cable terminations. We offer a full range of call point accessories to meet all installation challenges. We help enhance site safety with our transparent hinged covers and seals. 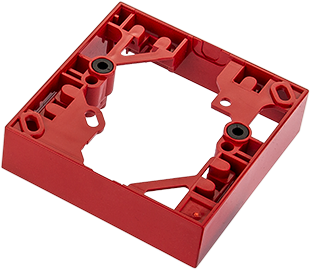 Our terminal trays and bezels are designed to permit easy integration into back boxes, including GPI boxes.